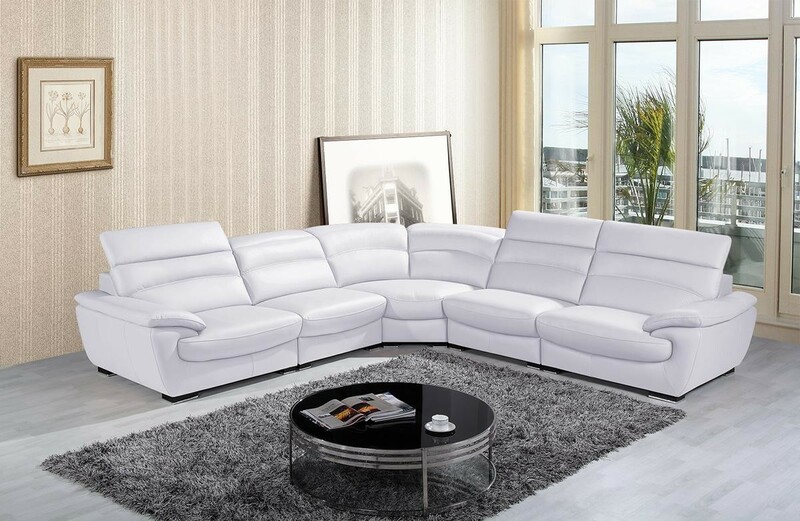 Armed 1.5 Seat: W46" x D39" x H31/39"
Armless 1.5 Seat: W32" x D39" x H31/39"
Corner: W32" x D39" x H31/39"
Hana sectional sofa presents minimalist modern style and features that will bring more comfort to your living room. 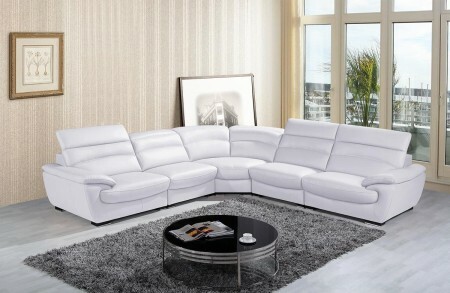 Upholstered in a full white color Italian leather all around and solid wood frame inside. Standing on a dark square feet it has spacious seating and six adjustable headrests so you can relax and enjoy this sectional sofa even more.